Learn: Within a few exercises you will be able to start using your new language. 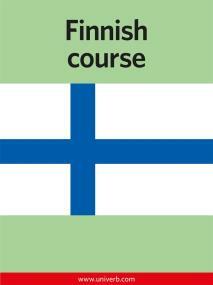 This is a bilingual (english to finnish) downloadable course in Finnish. The course contains of 3 hours MP3 -file downloaded recorded material and 2 course booklets in PDF-format. The textbooks follow the chapters of the recording. You will learn approximately 800 new words. In everyday speech a person uses between 500 and 1500 words. you will have mastered level A1 at the completion of this course. This implies that you will be familiar with the most common words and basic phrases related to your immediate surroundings, a well as beeing able to read common names and simple sentences. You will be able to converse when your interlocutor speaks clearly and slowly. You will be able to complete basic application forms.